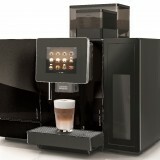 A Jura coffee machine is an automatic bean-to-cup coffee machines supplied to offices, cafes, restaurants, bars, hotels and showrooms. 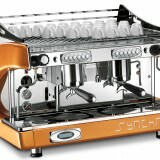 They are one of our favourite brands of highly advanced, good-value and progressive Swiss bean to cup coffee machines that are uniquely flexible and offer extended warranties for 2 years or 3 years with the popular Giga models. 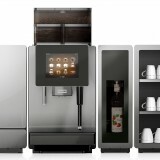 Available with 1.1 litre milk cooler as shown in this picture or a more robust and powerful 4 litre milk fridge; you can see the Jura Giga bean to cup machine at our central London showroom or our Falkirk coffee school. Why not ask for samples from our range of 8 types of espresso coffee beans? This includes Fairtrade, Organic and Rainforest Alliance coffees. The Jura Giga X3 professional bean to cup coffee machine allows you to enjoy superb flat white, caffe latte, espresso and cappuccino at the touch of a button using coffee beans and fresh milk. 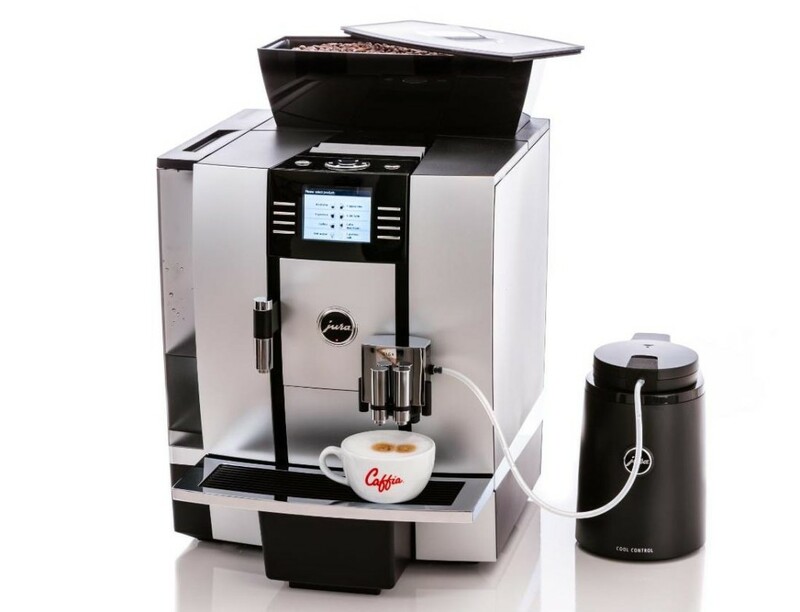 A professional coffee machine from an innovative Swiss coffee machine manufacturer called Jura Elektroapparate AG, the Giga X3 offers an ideal bean to cup machine for medium volume coffee shop and office sites serving upto 160 cups per day. The automation of this machine is impressive with consistent and excellent and very hot drinks being dispensed – a very British requirement! The Jura Giga X3c bean to cup coffee machine has a single ceramic disc coffee grinder for long-lasting, quiet and precise grinding. TFT screen technology makes for a very clear display with astoundingly flexible programming to set your exact drink. 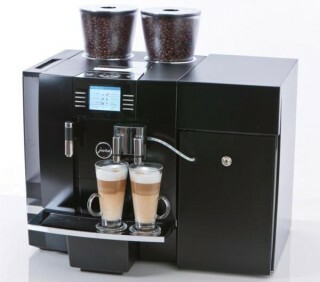 The X3 Jura coffee machine can dispense 2 flat whites, 2 cappuccinos or 2 caffe lattes at once if desired which gives excellent performance with unique 3 year parts and labour warranty from the manufacturer. Why not come and see our showrooms?